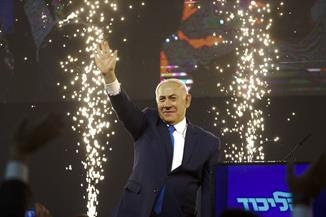 Benjamin Netanyahu on track to win Israeli election. The country's current prime minister appears to be in a strong position to win a fifth term after a tight race tested support for a leader facing corruption charges. Final results are expected later today. Mueller report to come soon, Barr says. The attorney general said he will be able to release the special counsel’s still-secret report within a week, and vowed to be transparent about his reasons for blacking out parts of the roughly 400-page document. Boeing 737 jet orders dwindle. The aerospace giant didn’t book any commercial orders of its 737 jetliner in March, the first month without a sale of its best-selling aircraft in almost seven years. The production cut and global grounding of the MAX jet after two fatal crashes are prompting airlines to rearrange their operations and schedules ahead of the busy summer travel period. Texas Tech medical school to end affirmative action. Civil rights officials at the U.S. Education Department are requiring the prominent school to stop considering race or ethnicity when deciding whether to admit applicants. The move puts other higher education institutions on notice that their continued use of affirmative action policies will draw federal scrutiny. Grand jury indicts 16 parents in college-admissions scandal. The parents, including actress Lori Loughlin, now face a charge of money-laundering conspiracy. Bank executives to say the financial system is much safer. The chief executives of the largest U.S. banks plan to tell the House Financial Services Committee this week that the financial system is less risky and more tightly supervised thanks to a series of regulatory reforms implemented in the wake of the 2008 financial crisis. Federal Reserve to release meeting minutes. The notes of the March meeting should provide detail on how Fed officials view the risks to their economic forecast and on their discussions around why they don't expect to raise interest rates this year. White House turns up the heat on migrants. 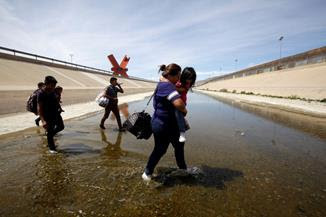 The Trump administration laid out ways to move more aggressively against Central Americans seeking asylum in the U.S., including stepping up pressure on Department of Homeland Security officials, amid a fresh setback in the courts and continued resistance on Capitol Hill. Walmart rolls out the robots. 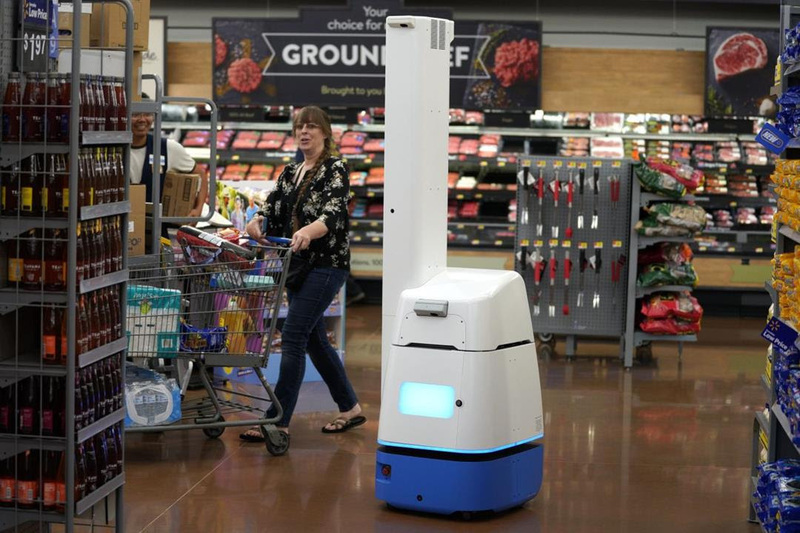 The retail giant is expanding its use of robots in stores to help monitor inventory, clean floors and unload trucks. The move is part of efforts to control labor costs as it spends more to raise wages and offer new services like online grocery delivery. Why the bull market has failed to fix public pensions. 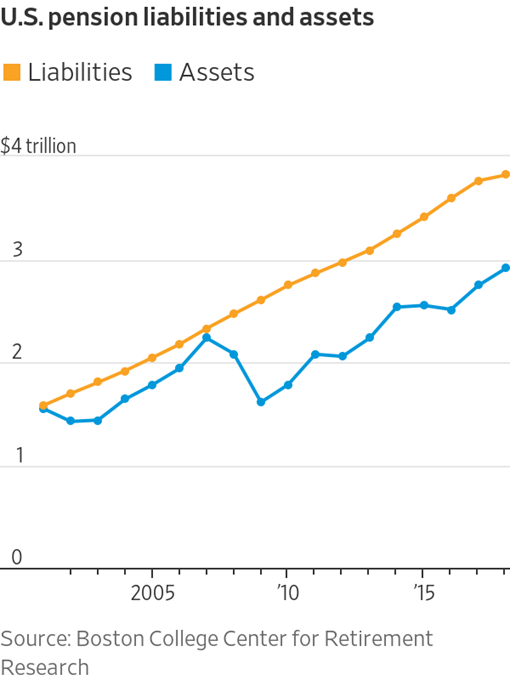 Robust gains from the longest bull market in U.S. history have failed to solve the deep-seated problems of the nation’s public pensions. The Journal explains why. Yogurt sales sour as options proliferate. The decline of the yogurt boom is a troubling sign for packaged-food companies that have struggled to grow sales. Many decades-old brands are losing market share to more health-oriented startups and cheaper store-branded alternatives. 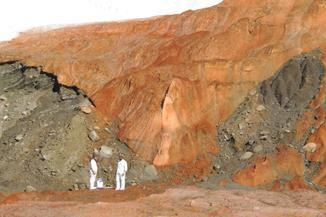 Hunt for alien life starts in earth's most extreme places. By studying Antarctica’s icy ecosystems, scientists hope they’ll discover what makes life tick in hostile environments—and how to find it in the solar system. Magic Johnson resigns as L.A. Lakers president. In a stunning move that made LeBron James’s first season in L.A. more dramatic, Magic Johnson resigned as the Lakers’ president of basketball operations. But the most surprising part was that he quit publicly before informing his boss. Do new baby monitors ease fears or add anxiety? Hovering over a sleeping newborn is a parental rite of passage. It’s the most terrifying and primal part of caring for a new life: Will my baby survive the night? New parents have more sophisticated baby monitors to choose from than ever. But advanced baby monitors like Owlet and Angelcare are causing parental anxiety, too. This Minnesota college has a portrait by "The Scream" painter. Or does it? 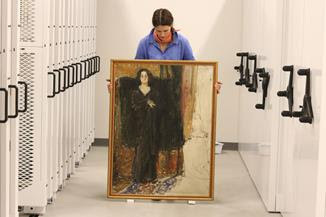 Evidence suggests a painting of a woman in black at St. Olaf College is an Edvard Munch portrait of his lover, but curators in Norway have declined to solve the mystery. 1. There is a secret trust score companies use to judge us. In the world of online transactions, trust scores are the new credit scores. But good luck finding out yours, Christopher Mims writes. 2. Blame "Fortnite" and its ilk for Snapchat adding videogames. The messaging app wants to replicate the success of multiplayer games that also double as online communities where friends socialize. 3. In a WeWork world, finding an office buddy is a social minefield. With more employees in shared work spaces, making friends can be fraught with rejection and awkward encounters. Want more tech? Get WSJ Technology Weekly delivered to your inbox every Sunday and listen to your favorite tech columnists in our podcast, Instant Message. 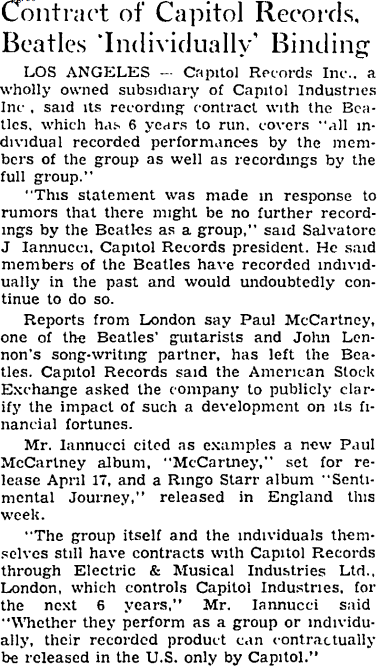 In the midst of business disagreements with fellow bandmates, Paul McCartney announced his departure from the Beatles. Mr. McCartney first met John Lennon and his band, the Quarrymen, in 1957, and soon joined as their rhythm guitarist. The band became the Beatles in August 1960 and went on to be one of the most influential groups in history. After leaving, Mr. McCartney pursued a solo career and formed the band Wings. —Compiled and edited by Phil Nobile in New York and Bryony Watson in London.